Dec. 21, 2017 — It now appears that an incredible finish has occurred in the Virginia state elections even though voting ended six weeks ago. The House of Delegates’ majority has come down to literally one single vote from one of the 100 districts according to a just-completed recount. In Newport News Delegate District 94, an incredible one-vote victory for Democrat Shelly Simonds was declared as the final recount tally Tuesday, but this result still won’t become official until the certification process concludes. Simonds is a Newport News School Board member who has apparently defeated incumbent Republican David Yancey by the slimmest possible margin. 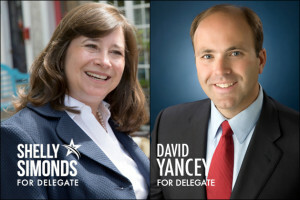 On election night, and through most of the process, Yancey led the count by 10 votes. Since the election on Nov. 7, the canvassing and subsequent recount process had been underway with election officials attempting to agree upon a final determination as to who actually won the 94th District race where an apparent 23,912 individuals cast their ballots. The unofficial final count now shows Simonds garnering 11,608 votes, up from 11,591 in the original tally, versus 11,607 for Del. Yancey, which is a six-vote post-election gain for the losing incumbent. Another 675 ballots were cast for Libertarian candidate Michael Bartley. An additional 22 people wrote in other names in lieu of voting for one of the candidates whose name appeared on the ballot. This race is so significant because the one-vote margin now sends the House of Delegates’ party division into a flat tie, with both sides holding 50 seats. Before the election, Republicans held a commanding 66-34 majority. It now remains to be seen if Republicans will further challenge this result and, if not, exactly how power will be shared in the chamber between the two competing parties. There has never been a tie in the Virginia chamber, so no precedent exists as to how the body is to be managed. As we know, four-term Rep. Blake Farenthold (R-Corpus Christi) announced last week that he would not seek re-election in response to sexual harassment claims. The timing of his decision, however, came after he filed for re-election. The Texas candidate filing deadline expired on Dec. 11, and Farenthold announced his retirement and submitted ballot withdrawal paperwork on Dec. 14. The Texas Republican Party reports that Farenthold’s withdrawal document was received on Dec. 15. Texas Republican Party chairman Jim Dickey is now suing the Texas Secretary of State, asking the court to remove Farenthold’s name from the ballot. The party chairman argues that he is not required to submit the final list of candidate names to the Secretary of State until Dec. 19, four days after being officially informed that Farenthold would not compete in the 2018 Republican primary, thus allowing time to remove the congressman’s name. The court would also have to decide whether filing would be re-opened. In Texas, when an incumbent doesn’t file for re-election, the filing period is extended for an extra week. 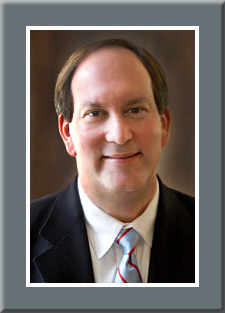 At this point, seven Republicans are in the ballot qualification process, including Rep. Farenthold. Without the congressman contesting the race, former Water Development Commission chairman Bech Bruun becomes the clear favorite for the party nomination and the seat. If the court rules in the Texas Republicans’ favor, however, a new filing deadline will likely be installed for this district.